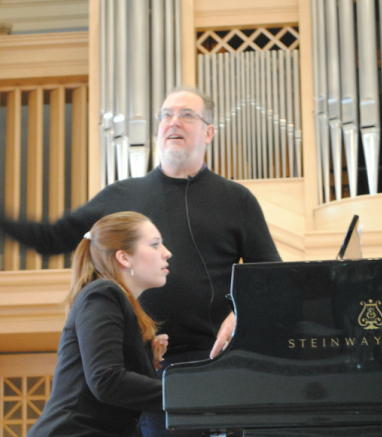 Garrick Ohlsson teaches a TMF master class at Prague's HAMU Music Academy. 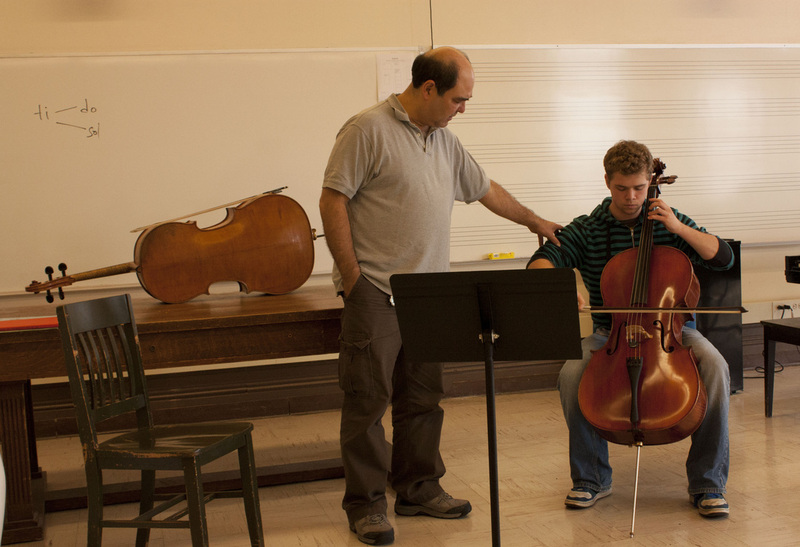 BSO cellist Sato Knudsen teaches a TMF master class at Boston's Symphony Hall. TMF's Emerson-Ondrícek Fund sponsors master classes for students of the prestigious Prague Conservatory, Jan Deyl Conservatory for Visually Impaired, and HAMU Music Academy. Emerson-Ondricek classes are given by artists performing in TMF concerts in the Czech Republic who reflect the highest standards of music pedagogy and virtuosity as exemplified by the distinguished careers of Emanuel and František Ondrícek. EOF was established through a generous gift of Harriett Emerson, a prize pupil of Emanuel Ondrícek. Master classes are also a significant feature of TMF's residencies at universities through the U.S.
Boston Symphony Orchestra clarinetist Thomas Martin teaches a TMF master class sponsored by TMF's Emerson Ondricek Fund.